Google daily comes with the new design of its page, but if there is any way to keep our Loved one’s image as google background or our own image or any image that makes us feel happy or good, this is awesome know. As soon as we open our browser to search, we will be greeted with the best image that we uploaded as background. 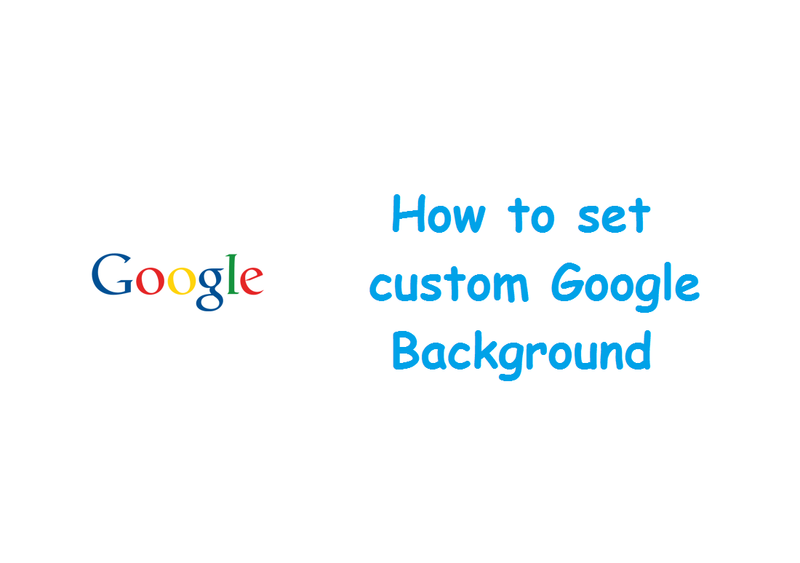 Techieswag came here with a new trick to change the background of google easily. Above link will take you to the extensions. Add this add on to your chrome browser. You can even customize the page like hiding the search bar, we can upload a picture from our PC or we can add the link of the picture on the internet. After adding an image just refresh the page to get required image as background.